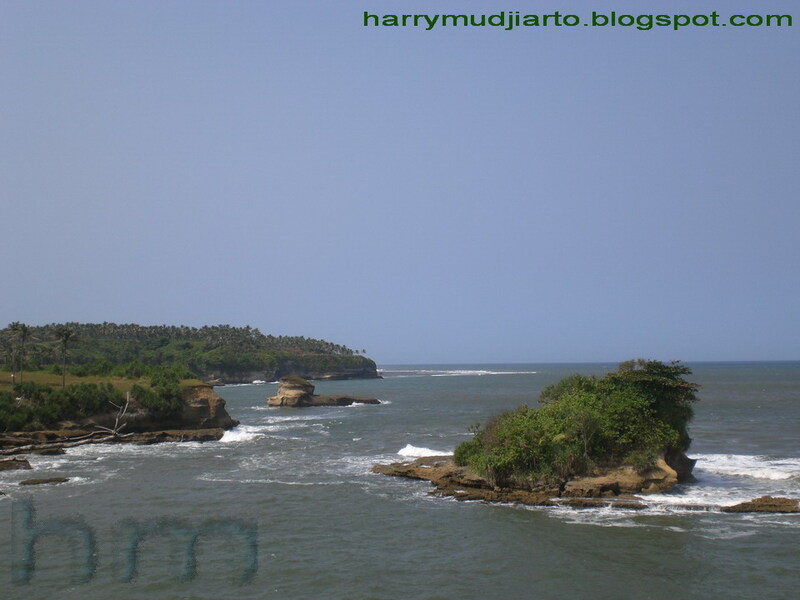 Ujung Genteng is located about 6-7-hour drive from Jakarta City; in Sukabumi County, Ciracap District, nearby Surade District. Ujung Genteng is a pretty wide beach, especially during receded, with white coarse sand. It was pretty beautiful. 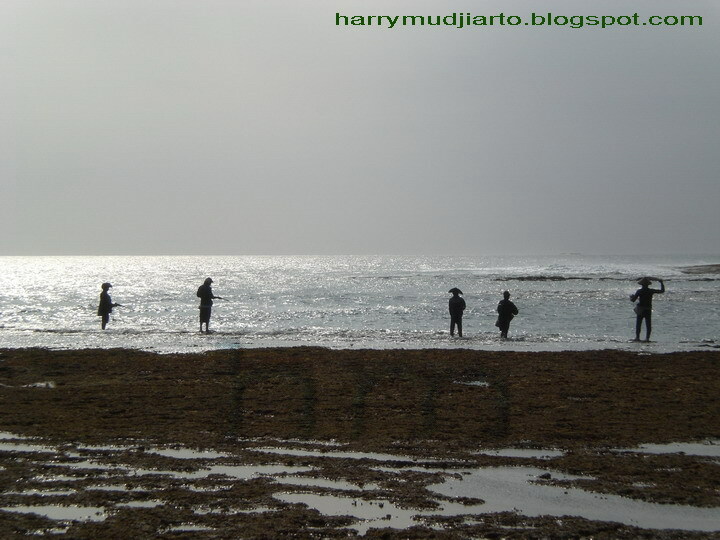 There are many beaches and waterfalls around Ujung Genteng area, like “rocky” Cibuaya Beach, “mesmerized” Cipanarikan Beach, “virgin” Ombak Tujuh Beach, “stunning and mystical” Cikaso Waterfall, etc and one famous conservation area for green sea turtles. 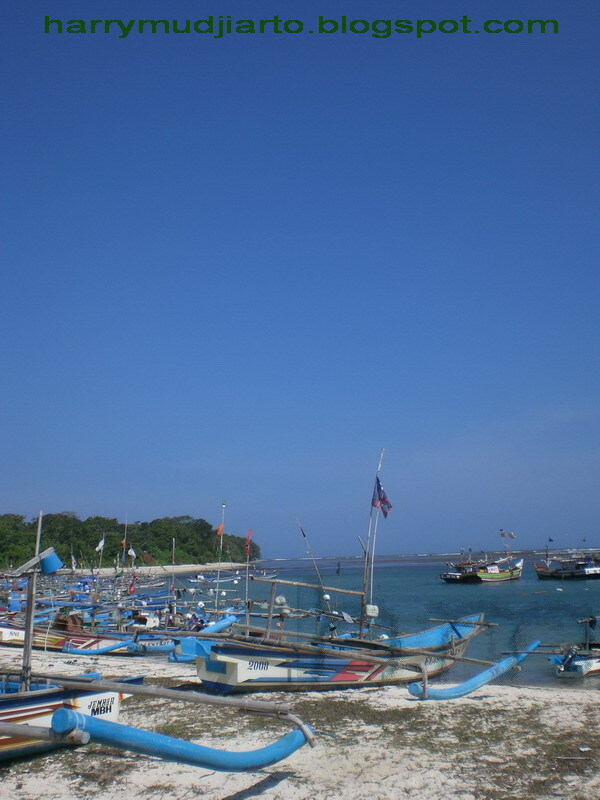 Ujung Genteng also has a traditional fish market (TPI), which also sells other raw seafood like crabs, shrimps, squids, clamps, etc. 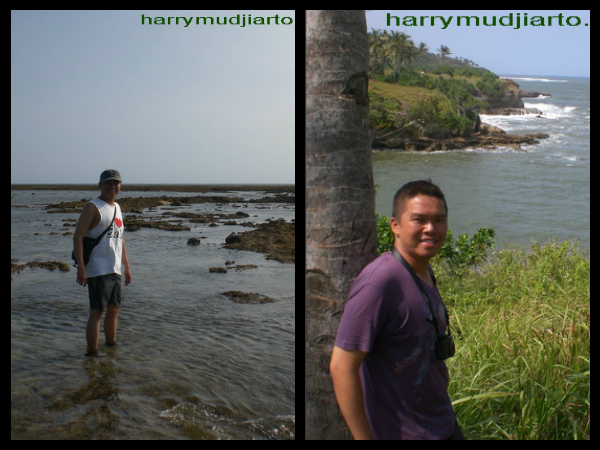 It was early July 2012 when we visited Ujung Genteng. The sun was warm, the fresh wind was comfortable and there were no mosquitoes. I’m not a fan of beach but definitely Ujung Genteng area is one of my favorite beaches so far. Just almost 11pm (06 July 2012), after a great dinner at Plaza Semanggi’s Food Court, DuaRanselWannaBe (DRWB) community started heading to Ujung Genteng (UG). Unfortunately only 6 members of DRWB joined this trip, because appointment made by other members before these trip announced. I still amazed facing the ugly bad traffic in Jakarta during Friday night at 11 pm, yes 11 pm ladies and gentlemen! What is wrong with this city? Thanks to the entertaining music collection brought by #Ojie, so we had enough song to sing instead of cursing the traffic. 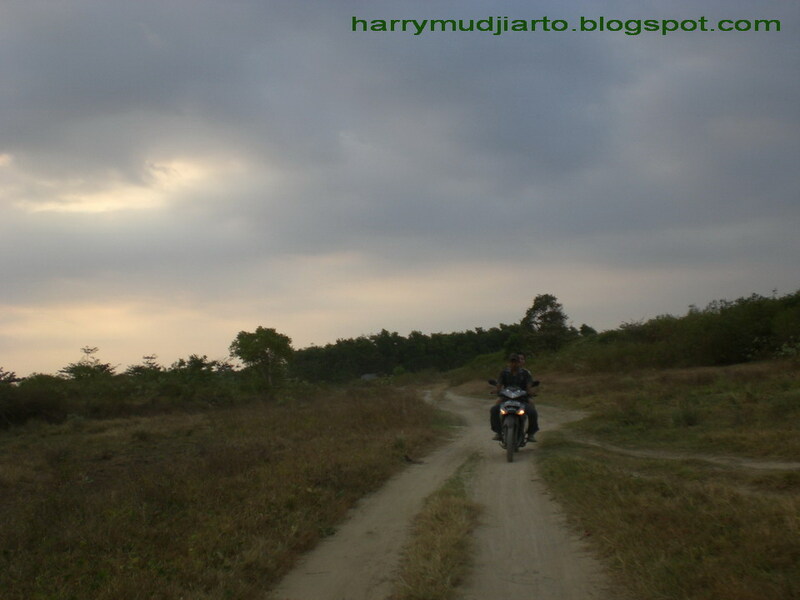 The winding road to Ujung Genteng should have been well prepared in advance by who are having car-sick problem. 2 of us were the victims of that winding road hahaha. 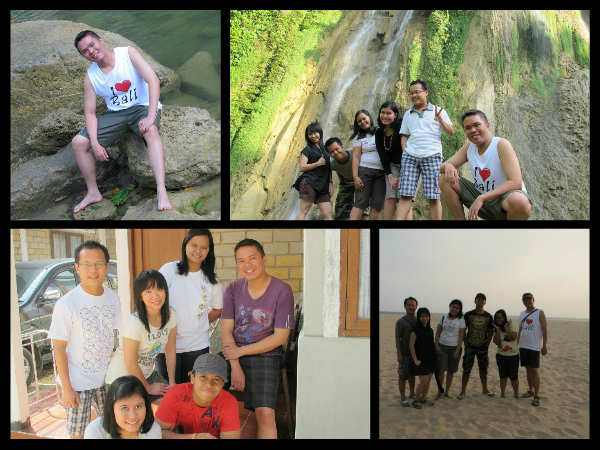 After a little bit lost, we finally reached our first stop, Curug Cikaso (Cikaso Waterfall). Parked our car, quick refreshment in public bathrooms and had instant noodles as our breakfast in local tents restaurant (1 portion of instant noodle with egg and a glass of tea would cost you only IDR 10.000,-) then we’re ready to start our boat trip to Curug Cikaso (short tracking are available), accompanied by local guide (1 boat rent includes admission fee for 6 persons would cost you IDR 80.000,- exclude tips for local guide). It took about (less than) 15 minutes to reach Cikaso Dock and we had to walk about (less than) 100 meters to touch the cool water of the waterfall. The waterfall is so stunning with the pool under it in green tint color. The pools surrounded by many of rocks in many sizes, some of them were huge, and many smaller pools on the way to the water flew to Cikaso River. Curug Cikaso has more than one water point and pretty high with many types and sizes of trees surround, it’s absolutely a green area. 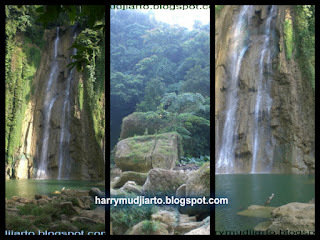 This waterfall definitely is on my list as one the essences of Ujung Genteng Area. Once told that the waterfall is the bath place of Kanjeng Ratu Nyi Roro Kidul (The Spirit Queen of South Sea) which is like Indonesian Poseidon ruling south sea of Indonesia. According to our guide, this mystical waterfall is still used by the queen with sighting of dragon snake sometimes appears in the pool under the waterfall. Next stop would be Hexa Inn, where we spent one night in a family room with 2 king size beds, plus 2 extra beds, completed with bathroom, dining table, kitchen, television and an air conditioner. (1 room for 4 persons would cost IDR 400.000,- / breakfast excluded, and 1 extra bed would cost IDR 35.000,-). 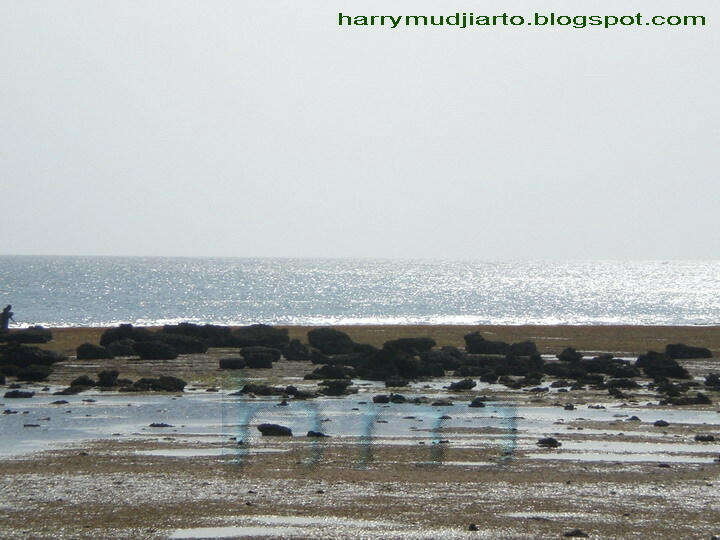 There was admission fee for Ujung Genteng Area entrance, it was about IDR 30.000,- for 6 persons and 1 car. After checked in and refreshment, we found difficulties to find proper lunch, because there were not many tents or restaurants open. Some tents or restaurants only served bakso (meat ball), nasi goreng (fried rice) and seafood barbeque for which we have to buy the raw ingredients in fish market. Lunch with bakso and nasi goreng then we went to fish market to buy fish, crabs and squids for our dinner menu. Back to Hexa, we prepared ourselves to start exploring Ujung Genteng by Ojek (rented motorcycle with the rider). We had decided earlier not to use our car exploring Ujung Genteng because the road is so rough and it’s faster using motorcycle than car. 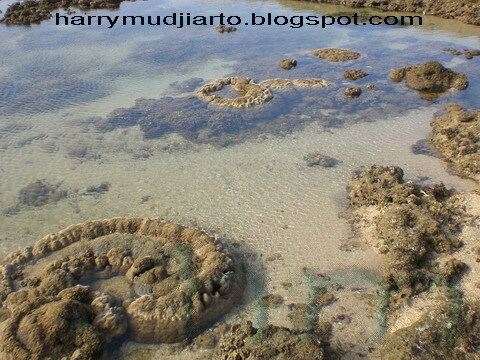 First stop on ojek trip was Cibuaya Beach which was on receded so the beach was very wide with many of amazing rocks shape like tiny rock islands with many of small fishes and starfishes trapped inside tiny pools in tiny rock islands. 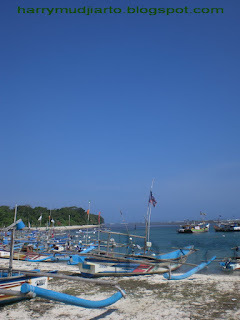 The second stop was Cipanarikan Beach which was so quiet from hectic visitors like the other beach. 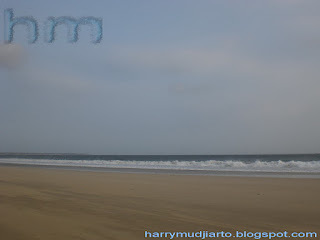 The beach is very wide with the green tint color river cross the sands and met with the ocean. It took long enough for us spending our time here in Cipanarikan Beach. What a beautiful beach with soft white sand, and almost empty. One of my friends fell asleep for a while, lulled by the comfort relaxing environment. The last stop was Pangumbahan Beach which is also as a Green Sea Turtle conservation area and daily, they hold an event to release tukik (means baby sea turtle) to the ocean. You could see tukik moving step forward, run to the waves, fighting against nature to fulfill their destiny in deep blue sea. Unfortunately, everyone wanted to see the tukik as close as possible and made the situation uncontrollable and became an hectic event with people ran closing to the tukik to capture it on their camera, some almost stepped on the tukik. 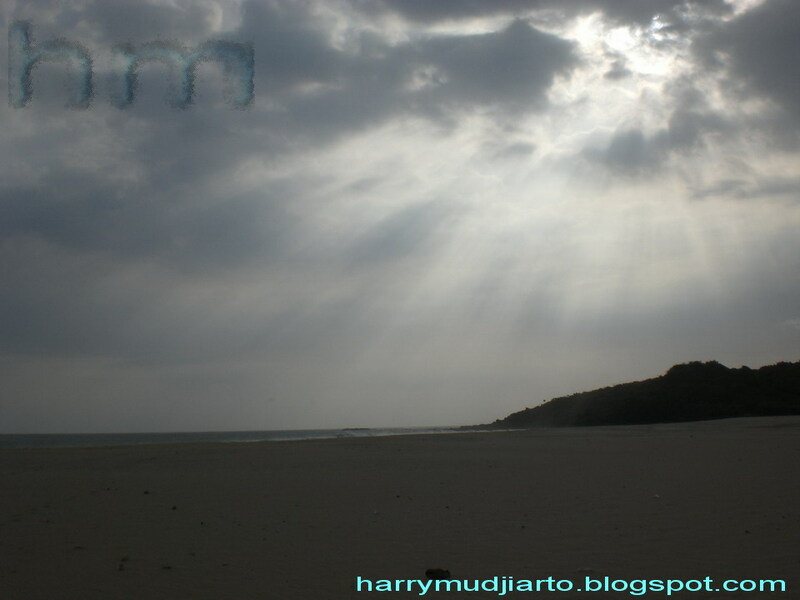 What locals said the best beach in Ujung Genteng area, Ombak Tujuh Beach (it’s been told that surfing is available here with strong waves), but sadly we didn’t have enough time, because Ombak Tujuh Beach is quite far from Hexa (about an hour by motor ride). Green Sea Turtle conservation area (Pangumbahan Beach) in the night, to see giant green sea turtle about to spawn. This event is not on fixed schedule, usually the visitors leave their phone numbers, and they will be called when there is sea turtle about to be spawn (there is additional fee of ojek and admission). 1 Ojek costs you IDR 70.000,- (1 Ojek only for 1 passenger) include admission fee on Pangumbahan Beach (Green Sea Turtle conservation area, which is cost IDR 5.000,- each person), beside Cibuaya Beach and Cipanarikan Beach. To add Ombak Tujuh Beach to your destination, the ojek costs about IDR 150.000,- (before bargain). Some people said that sunset in Ombak Tujuh also are the best in Ujung Genteng Area. Back to Hexa, we did again refreshment then enjoying our dinner with crabs, squids, grill fish, stir fried vegetables and steam rice. What a great day closed with great menu. The wish to spend the rest of the night in Hexa Café was not materialized, because most of us were too tired to do so. One by one, we all fell asleep hm… some with blanket and pillow each, some with no blanket and two pillows, some with blanket and two pillows, and some with no pillow at all #kode with sarongs. 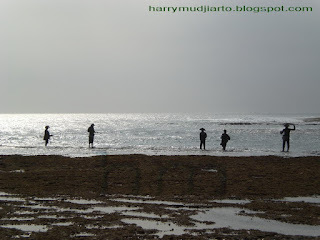 We couldn’t see sunrise in Ujung Genteng, well actually could do, but the spot was not good and in the same area of Fish Market which is so damn smelly. After enjoyed our breakfast with Bubur Ayam (chicken porridge) in tiny portion (hell yeah it was a tiny portion) outside Hexa, we spent the morning in Ujung Genteng Beach before checking out and moved to Amanda Ratu Resort. Amanda Ratu, what locals describe as the replica of Tanah Lot Bali (personally it doesn’t look like Tanah Lot at all except there is tiny rock island in the sea), is a resort on a cliff, so yes there is no beach around the resort. The view from resort was stunning and again it was so green. The resort also complete with swimming pool, cottage and entrainment,. There’s no admission fee to enter the resort, just parking fee about IDR 5.000,- per car. Guide from Cikaso Waterfall told us that word Green was implemented just for the last couple years. 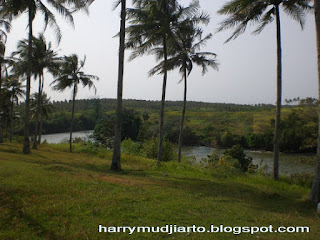 Before that, many hills lost the trees because locals cut down the trees. Now, it’s a different story and locals realized the importance thing about tree and you can see around Ujung Genteng areas are full with trees apart from the plantation of rubber and coconut. Didn’t want this vacation ended, but the next day, we had to go to work starting another Monday. 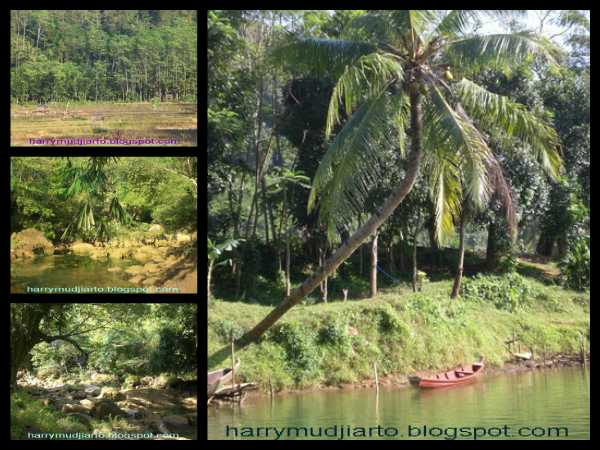 So, in the afternoon we started our journey back home to Jakarta. It was one of the best weekend vacations for me, so I dedicated this article to my fellow travelers (twitter ID) @achiedz @SiRozy @dinoynovita @Culinarymaniac and last but not least @reitoku thank you for making our vacation awesome. Thank you for all members DRWB for all supports. 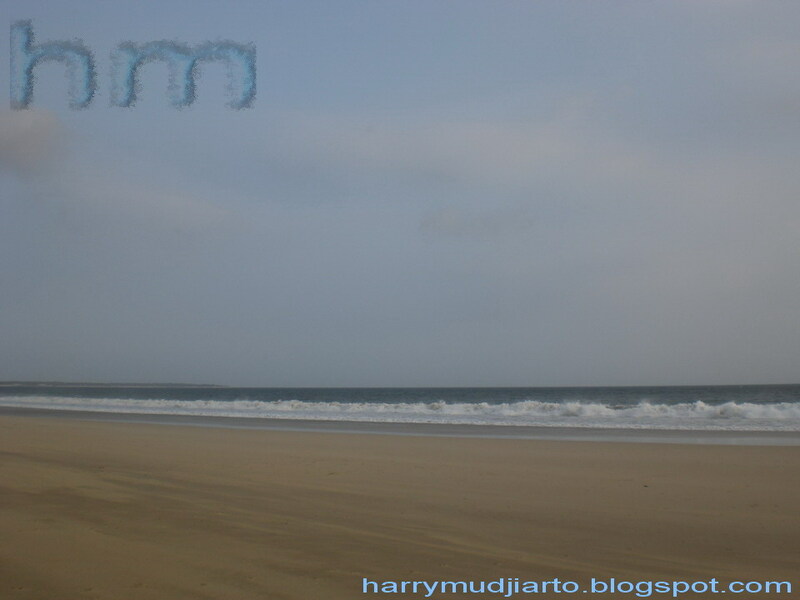 Thank you for wonderful people in Ujung Genteng Area for welcoming us. Nice article om! Glad you're having so much fun as i am. Btw, is the road still bad? How long did it take for you to get there? Indeed and next time kamu dan Adam di Indonesia, yuk kita nge-trip bareng. The road is still bad in some points around UG area. It took about 6 to 7 hour from Jakarta (Plasa Semanggi). har, Cibuaya Beach nya so beautifull so much, very very natural. Love this ^^! Bali, When Love and Hate Collide! Is It Just Me?